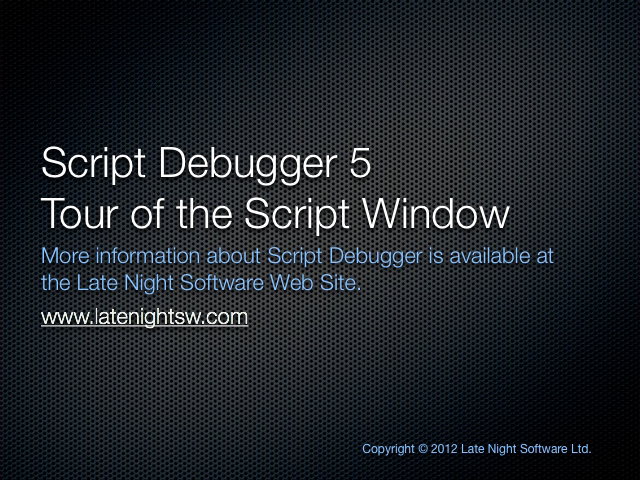 This series of video tutorials provide an introduction to Script Debugger’s key features. 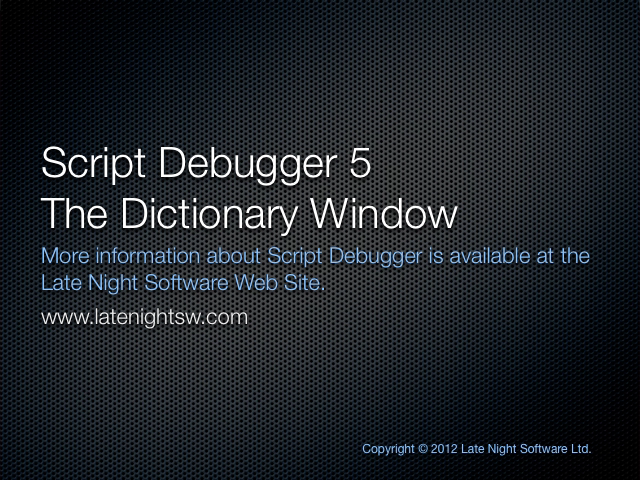 Use Script Debugger’s Help menu to access detailed documentation provided in Script Debugger’s on-line help. 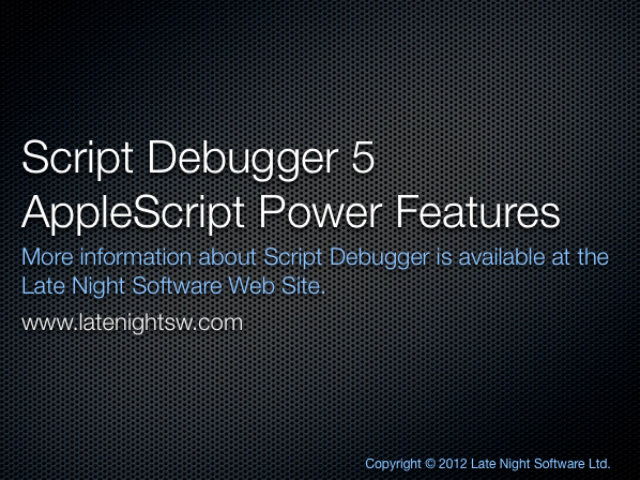 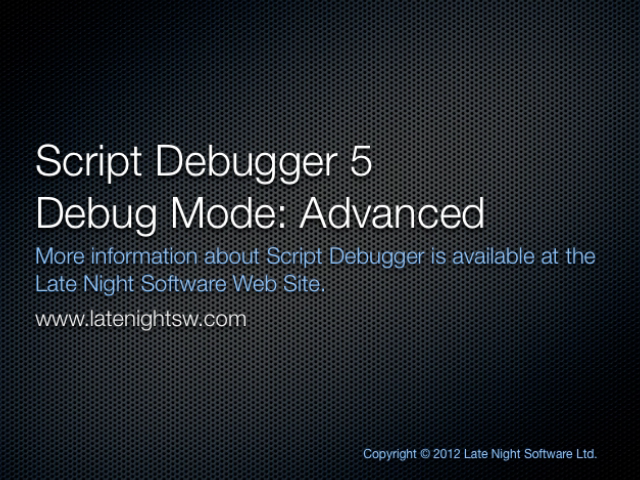 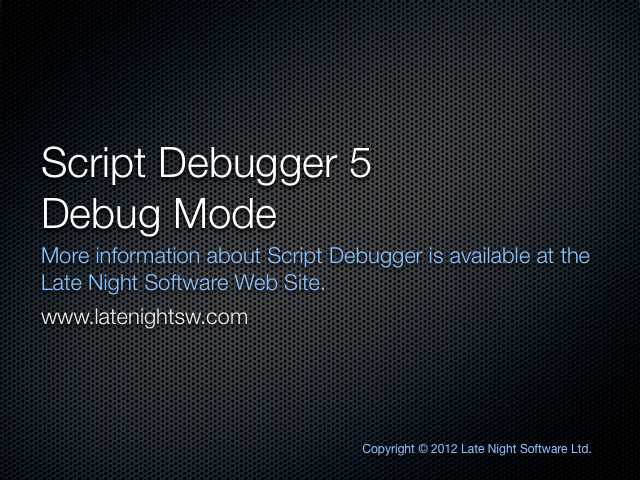 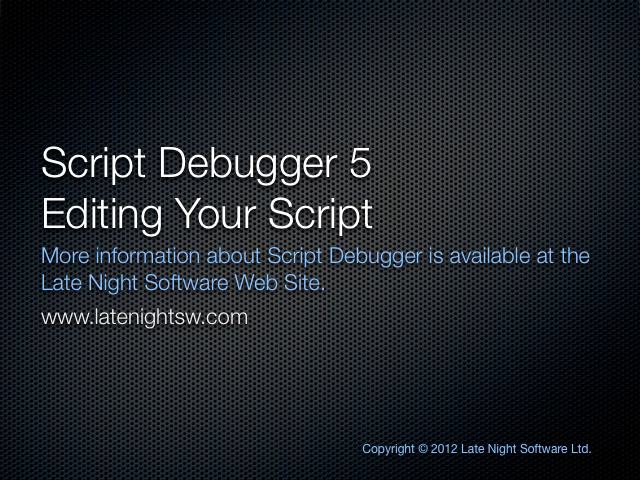 NOTE: The following video tutorials describe Script Debugger 5. 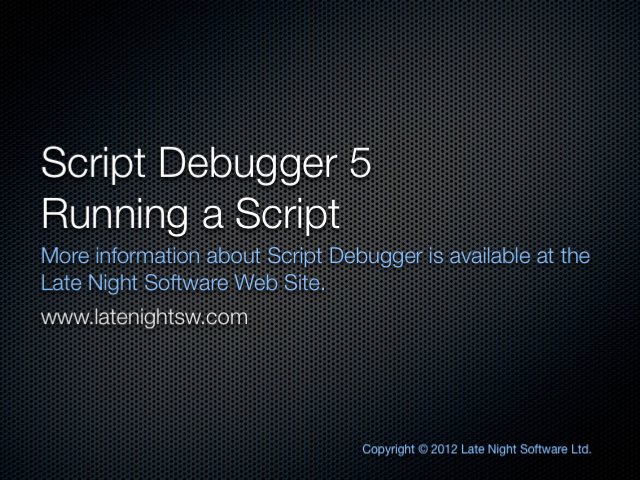 While Script Debugger 6’s appearance is slightly different from Script Debugger 5, all of the information presented in these videos applies equally to Script Debugger 6, with the exception of Libraries which have been removed from Script Debugger 6.